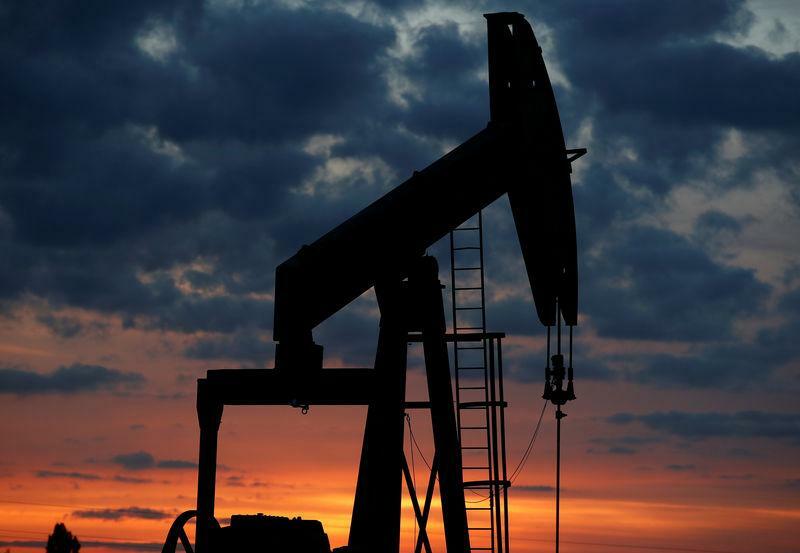 NEW YORK (Reuters) - Oil prices rose about 3 percent on Wednesday and hit fresh 3-1/2 year highs after a bigger-than-expected drawdown in U.S. oil inventories extended gains from the United States' decision to quit a nuclear deal with Iran. Ignoring pleas by allies, U.S. President Trump on Tuesday pulled out of a 2015 international deal with Iran and announced the "highest level" of sanctions against the OPEC member, making investors nervous about rising risks of conflict in the Middle East and about oil supplies in a tight market. 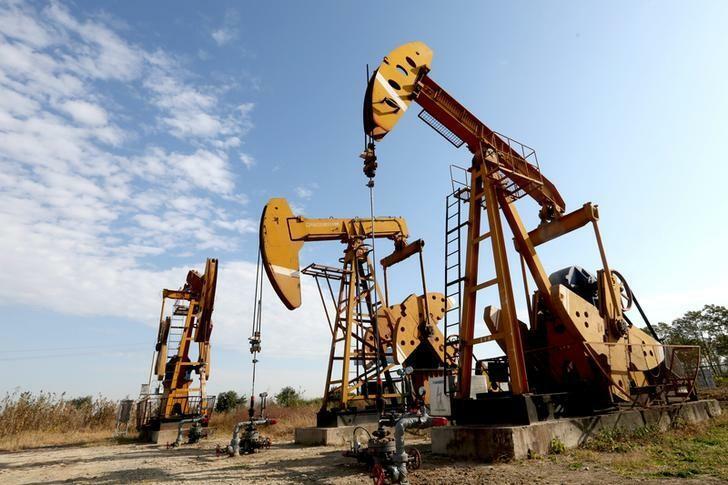 Brent crude futures (LCOc1) rose $2.36, or 3.2 percent, to settle at $77.21 a barrel. The global benchmark hit a session high of $77.43, the highest since November 2014. U.S. West Texas Intermediate (WTI) crude futures (CLc1) rose $2.08 to settle at $71.14 a barrel, a 3-percent gain. Prices extended gains after U.S. Energy Information Administration data showed domestic crude inventories (USOILC=ECI) fell 2.2 million barrels in the latest week, far exceeding forecasts for a decrease of 719,000 barrels. Net U.S. crude imports (USOICI=ECI) fell last week by 955,000 barrels per day to 5.4 million bpd, the lowest since mid-February, the EIA data showed. U.S. gasoline futures (RBc1) hit a high of $2.1701 a gallon, the highest since Hurricane Harvey sent prices surging in August. U.S. heating oil futures (HOc1) surged to $2.2258 a gallon, the highest since February 2015. "A whopping drop in imports has resulted in a moderate draw to crude stocks, while a drop in both gasoline and distillates inventories round out a broadly supportive report," said Matt Smith, director of commodity research at ClipperData. Iran re-emerged as a major oil exporter in 2016 after international sanctions against it were lifted in return for curbs on its nuclear programme. The country, the third-biggest producer of crude within the Organization of the Petroleum Exporting Countries, exported about 2.6 million barrels per day (bpd) in April. Analysts' estimates of the possible reduction in Iranian crude supplies as a result of any new U.S. sanctions range from 200,000 bpd to 1 million bpd. A number of countries have already cut reliance on Iranian oil, as well as other "traditional" sources of supply, due to a surge in cheaper U.S. crude exports.